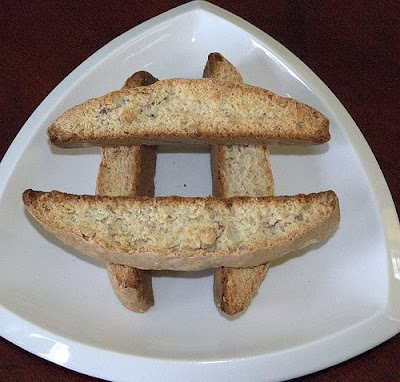 I am a big fan of biscotti and keep eating them until they are all gone. 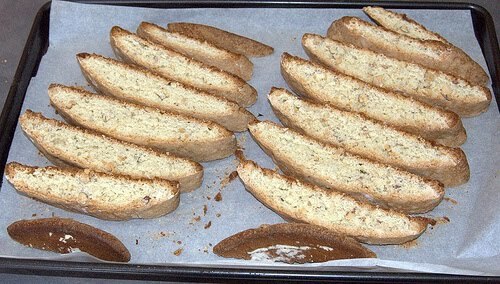 Well that is just what happened a while ago when my wife made these wonderful biscotti’s. We wanted to experiment and see how rosemary and cardamom would complement each other. The result was very palatable, and the proof was the empty container full of biscotti’s after 2 days. Toast the almonds in the oven at 325 degrees F until they are well toasted. Sift the flour, salt, and baking powder and set aside. In a large container or bowl, blend the eggs until smooth. Add the sugar, rosemary, vanilla extract and cardamom and mix well with a spatula. 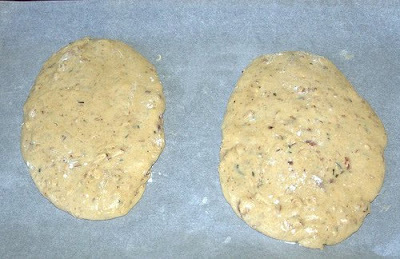 Add the flour mixture, almonds and mix everything until a nice dough is formed. Transfer the dough to an oiled baking sheet and form two oval shapes. Bake for 35 minutes until the oval shape dough gets firm. 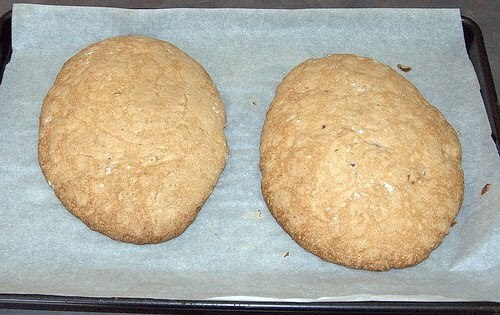 Take the oval shaped dough out of the oven and let them cool. Slice the dough into any shape you would like or long slices if you want the traditional shape. 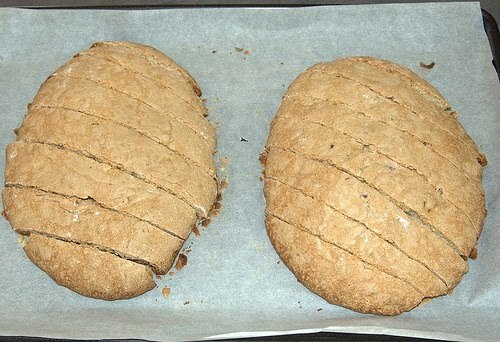 Place the pieces flat on the baking sheet and bake again for 15 - 20 minutes at a lower temperature around 325 degrees until they turn slightly brown. Let them cool on a rack. 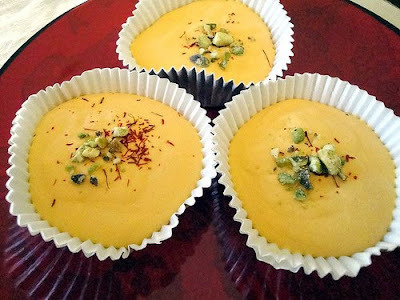 Serve with coffee or especially with tea since the cardamom flavor goes really well with tea. Since there is no butter in this recipe and due to the double bake, the biscotti’s are harder than the ones you may be used to when you buy the branded ones. Hi all. I know I have been apologizing a lot lately. It has been a while since I posted. One reason was my trip to India due to which I couldn't post for a few weeks. The reason now is that I have been in great pain due to a herniated disc I activated again after slipping and falling, because of which I haven't been able to stand for more than a few minutes at a time. Well a least I am recovering, although very slowly. I went into my google docs and dug out some recipes I had made a long while ago that I hadn't posted. The picture I took of some of the dishes weren't good and I was waiting to make them again, take a better picture and then post. I dislike so much gap between posts hence decided to post them anyway. I started experimenting with ice cream with some interesting flavors. Since I don't have an ice cream machine and I wanted the process to be awfully simple I took the help of some readily available good quality ice cream and added my ingredients to it. Hope you enjoy these creations and the imagination behind it. Keep the ice cream at room temperature (so that it is easy to scoop and mix the ice cream) while you do the prep work. Cut one green chilli into small fine pieces (as small as you can cut it), including the seeds. Set aside. Take the other green chilli and cut it into slanted 1/3 inch pieces, and add them to 1/8 cup of heavy cream in a bowl. Bring the bowl of heavy cream with the cut green chilli just about to a boil. Take a spoon and mash the green chilli so that you can get as much flavor and juice out of the chillis into the heavy cream. Filter the heavy cream through a strainer to remove the green chilli chunks, and set aside. In a mixing bowl, take the 1 1/2 cups of vanilla ice cream, and to it add the chilli flavored heavy cream, and the minced green chilli, including the seeds. Mix everything together well until it forms a smooth texture and refreeze the ice cream for a few hours. Scoop it up and enjoy! The best way to describe this ice cream is that when you lick it or put a spoonful into your mouth you get the lovely sweet and creamy taste of the vanilla ice cream. 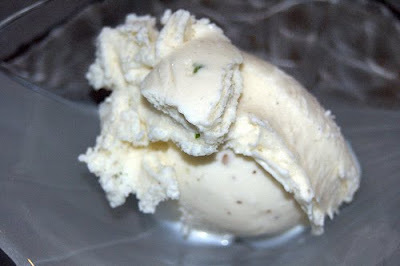 As the ice cream goes down your throat, the hotness of the green chili hits you suddenly, taking you almost by surprise. Hi there! I just got back from vacation yesterday from India. I went there after a gap of 2 years. It was a totally enjoyable trip, meeting up with our family, relatives and friends, and just the feeling of being back at home. An added bonus was that I went to see the Taj Mahal for the first time in my life, and I can only say that this is not the last time I am going there. I can’t find words to describe it. Apart from that, I ate to my heart’s content all the street food that I missed out on, and have a lot of recipes under my belt, waiting to be cooked. Ok then, back to fun. I cooked up this dish a couple of months ago when we had invited our friends over for lunch. 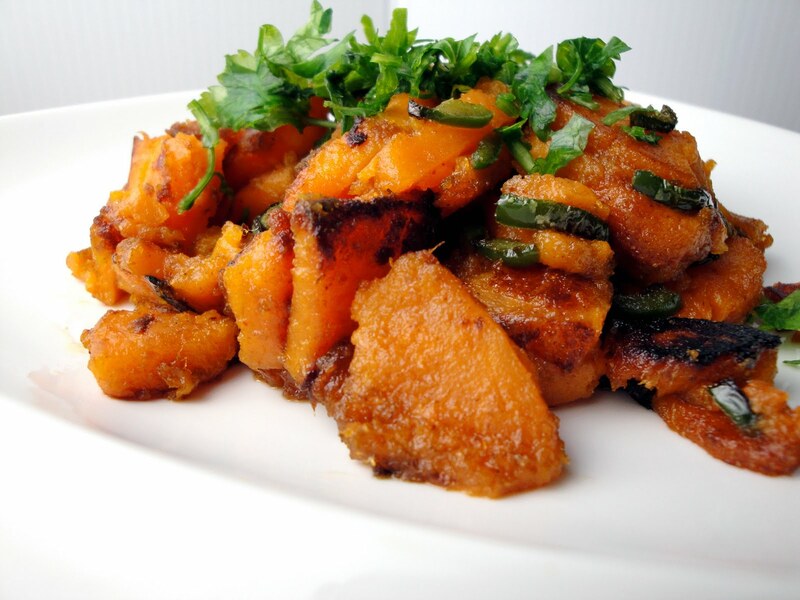 I had wanted to make some potatoes, but prepared these yams instead. I have wanted to prepare yams or sweet potatoes this way and the result was very appealing to the mouth and the tummy J.
Poke the yams with a fork, making holes, and bake at 300 – 350 degrees F until done (roughly 35-40 mins), making sure they don’t get mushy. You can alternatively pressure cook or boil the yams...not as tasty as roasting them though. Cut the yams into ½ inch pieces. Heat the oil in a pan on medium heat. Add the cumin, coriander and cayenne pepper. Reduce the heat to low, and add the yams. Season with salt to taste, and mix the ingredients well. Roast the yams on low to medium heat until they are roasted, nice and golden. At this point, add the jalapeno peppers and some fresh parsley leaves (about 1 tbsp) and cook for a few more minutes. Garnish with the rest of the parsley leaves. Serve hot. This is the dish to make if you want to surprise yourself or your guests with something that is unique and has layers of different flavors in it.